Music is an essential aspect of a Wedding day, as it will lead from the moment you enter until the late night last dance. Wedding Music not only helps people to feel comfortable and lets them communicate, but it also is very important in creating the right Atmosphere to entice your guests to the dance floor. Music genre can be chosen after your taste, from Classical to Jazz, from Rock music to Ethnic, from an Italian sound to Dance music to close the party. The best solution is to alternate Genres but also Records and Live music. During the ceremony, the main moments which you will want to emphasise are the Entrance, the Signing and the Exit. If you decided to get married in a Church with a Catholic rite, then there will also be some Religious compositions to accompany, including the Alleluia, Gloria, Offertory and Holy Communion. If you chose a Civil or Symbolic ceremony, you will have more freedom in the music selection. Whether your Wedding is going to be Religious, Civil or Symbolic a very important feature is the background music while guests are awaiting the arrival of the Bride. During the Reception, the ideal choice is a very delicate and understated music in the background, that can permit easy conversations, without making the guests feel the need to talk loud. The dance hour is a fundamental moment, your guests will probably belong to different age groups, so it is better to include a wide variety of music to involve them all. 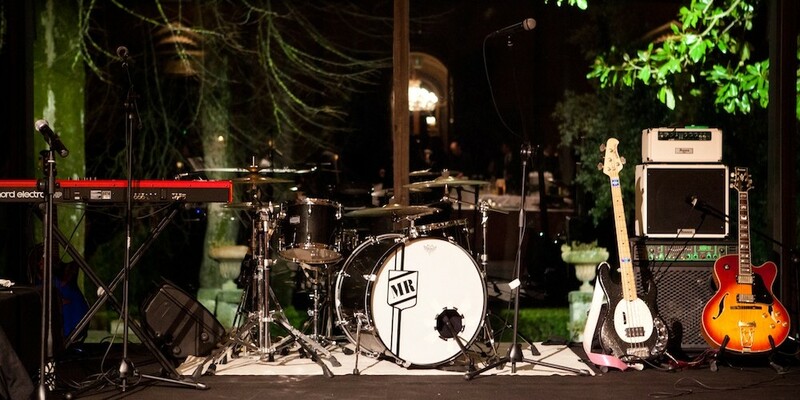 Many wedding venues have restrictions when it comes to music, in some places you will be asked to stop music at midnight, some places allow music until dawn. There also are some locations that don’t permit music to be played outside, or that do not accept certain kinds of music, such as Disco music, or bands which include drums, but they welcome background music. Based on that we request that you inform us as soon as you can what kind of music you have in mind, so that we can suggest an appropriate location to suit your needs. Please kindly note that in Italy we have a law that establishes the obligation to pay a Tax fee called SIAE, in case of music entertainment; the amount depends on the location, the number of the guests and several other factors, but the fee starts from 150 €.